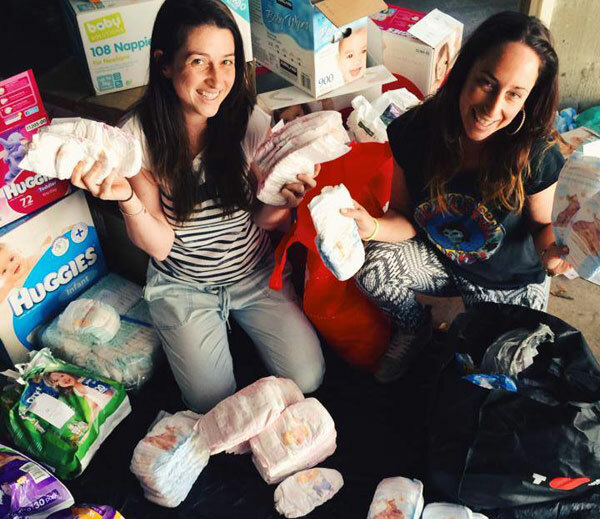 If you have a stockpile, or even just a couple of leftover, unused nappies, you can be part of this amazing movement, which gives struggling families access to nappies. It also means unwanted, unused nappies don’t end up in landfill. Here’s everything you need to know. This is a cause we’re thrilled to support, and the next round of this great initiative is set to be the biggest yet. The Nappy Collective launched in 2013, and has since collected thousands of nappies to donate to needy families. The most recent drive, held in August, donated more than 80,000 leftover, unused nappies. These were collected in the space of just two weeks. The next round is set to take place from October 20 to November 5, with 130 collection points in 11 cities and towns across Australia. There will be collection points in Melbourne, Sydney, Brisbane, Perth, Adelaide and Alice Springs. Regional areas including Newcastle, Albury, the Upper Hunter Valley, Ballarat and Geelong will also be included. For those unfamiliar with the amazing effort undertaken by The Nappy Collective, there’s a crazy amount of work that goes on behind the scenes when the collection concludes. The nappies have to be sorted, before being donated to mothers in shelters and families in need, within each of the locations. For more information on donation points and the organisation, take a look at The Nappy Collective.